Ever wondered who the richest man in the whole world is? What might have been his economic background before he made it to this list? What is the profession of the people who are recorded as the top 100 richest people in the world? Is the richest actor in the world the wealthiest? You might have often questioned this to yourself. This article answers all your queries! These billionaires that you wonder about have excelled in their respective professions. They have had an inexplicable impact in the entire planet with their relinquished recognition! The surveys promulgate the top 100 richest people in the world dynamically. So, when someone questions who is the richest man in the world today, it is difficult to get an accurate answer. The list of all the billionaires goes a long way, and is continually changing! The list goes on and on! However, we have minimized the list and prepared the record of the top 20 richest people in the world 2018. The co-founder of Alibaba Group, Jack Ma ranks as the 20th richest man in the world today. Born on 10 September 1964 in China, Ma is also the chairman of this multinational company. He is continuously put in a record as one of the most influential people in the world. Born in Hangzhou, China, Ma has a keen interest to obtain fluency in the English language. He used to put in considerable effort, at a very young age to achieve his goal. His real name was Ma Yun, and he was given “Jack” as a nickname by a foreigner who found it hard to pronounce his name. After graduation, Ma started off as a lecturer of English and International trade. MA had to encounter a lot of rejections in his professional life. He had the record of being the only guy to be rejected among the other 24 applicants! Harvard Business school declined him ten times! But he never lost hope, and he kept moving on in his life. Ma had launched a website named “Ugly” when he first realized that he could make a fortune from the internet. He started a company along with his wife and a friend that created websites for other companies. And providentially, his company has earned US$800000 by the end of three years. In 1999, Jack Ma returned to his hometown and established Alibaba, which marked the stepping stone that led him as the 20th richest man in the world 2018! We have Mukesh Dhirubhai Ambani in our list of the top 20 richest people in the world. Born on 19 April 1957 in Mumbai, India, Ambani is also the richest person in India. He is the chairman and the managing director of Reliance Industries Limited. He is also referred to as the largest shareholder of this company. Ambani has the net worth of $43.2 Billion. He graduated as a Chemical Engineer from the Institute of Chemical Technology. Ambani had acquired a license to build a PFY manufacturing plant. He had to withdraw from Stanford, where he was studying MBA, to help his father develop Reliance. Reliance took initiatives to assist with information and communication technology. 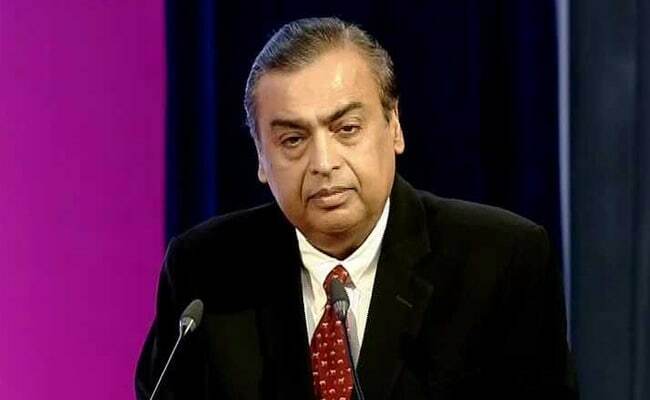 An FIR was also filed against Mukesh Ambani for bringing irregular changes in the natural gas pricing from the KG basin. In the February of 2016, Jio, introduced by Ambani, launched a 4G smartphone brand which was named LYF. It became the third largest selling brand in India within the next four months. The total amount of Ambani’s wealth was estimated to be enough to fund the federal government of India for 20 days! That is the amount of wealth he is expected to possess! Francoise Bettencourt Meyers is the first woman that makes it to the list of top 20 richest people in the world. She is the author of Bible commentaries. Meyers is the French heiress and is known to act on Jewish-Christian relations. Her family is the owner of the multi-national company, L’Oreal. Meyers holds the position of the chairwoman in this company. Meyers has had controversies regarding her marriage. She had also filed a suit against Francois-Marie Banier for conspiring to extract money from her mother. However, she settled this issue later without legal bindings. Her mother’s net worth was $39.5 billion during the year 2017. Her demise that year made Francoise Bettencourt Meyers the rightful heir to her possession. Thus, Meyers makes it to our list as the 18th richest person in the world 2018. Meyers is also regarded as the richest woman in the world today! Ma Huateng is another Chinese billionaire on the list of the wealthiest in the entire world. 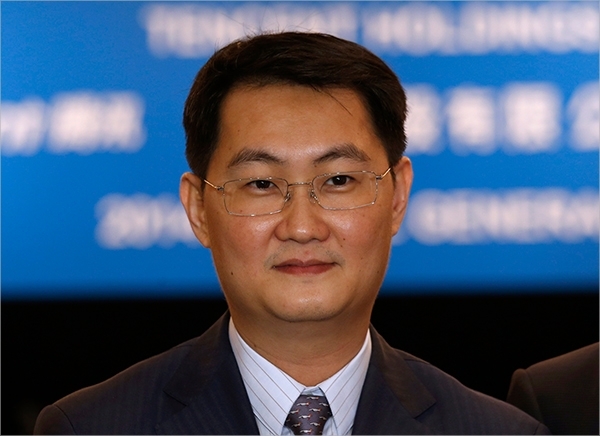 Ma Huateng, also referred to as Pony Ma is the chairman and CEO of Tencent holdings. This company is considered the most valuable Internet and Technology company in Asia. The company provides tons of Internet-related and entertainment-based services; smartphones, media, for instance. Ma Huateng graduated in Computer Science and started off as a supplier of telecommunication products. However, his life brought him a fortune when he established and co-founded Tencent in the year 1998, along with four of his classmates. According to Huateng, his company had no enough money to afford the product at the beginning. He had even thought about selling his company. Tencent also had to encounter a lawsuit and end up in defeat. Huateng then forcefully shut down the websites. However, the pages turned for him in the December of 2000. In January of 2011, Huateng introduced WeChat, which marked itself as the largest platform for instant messaging. Over the past few years, Ma Huateng has highly dominated the world of social network and instant messaging. With a net worth of a massive amount of $45.3 Billion, Huateng continues as the 17th richest man in the world today. To answer our query on who is the richest person in the world, we have The Walton family that occupy the next three positions on our list. Alice Louise Walton is the second woman to enter the list of the multi-billionaires along with Francoise Bettencourt Meyers. She is the daughter of Sam and Helen Walton. Her family is the owner of Walmart, and she is the American heiress to the company. Walton also functions as the chairperson of Crystal Bridges Museum of American arts. She is estimated to hold a share of $11 Billion in Walmart according to the report in the September of 2016. Walton holds a Bachelors degree in Economics and finance from Trinity University in San Antonio. She has been married twice, and both the marriages ended up in divorce. Walton has also had multiple misfortunes in motor incidents. Walton has a peculiar interest in arts and paintings. With a net worth of an enormous amount of $46 Billion, Alice Louise Walton belongs to the 16th position in the list of the top 20 wealthiest people in the world. Samuel Robson “Rob” Walton positions in this list preceding his younger sister Alice Louise Walton. He is the chairman of the world’s largest retailer company, Wal-mart stores. Rob Walton is the eldest son in his family, with two younger brothers and one younger sister. His other brother had died in 2005. He graduated in business administration from the University of Arkansas. He later joined the Columbia law school and achieved his Juris doctor degree. Walton started off as a member of a law firm that represented Wal-Mart. However, he joined his company as the senior vice president in 1982. After his father’s demise, Rob Walton functioned as chairman of the board of directors in his company. Rob Walton has been married three times. He holds a net worth of a massive $46.2 Billion to be a step ahead of his sister as the 15th richest man in the world today! 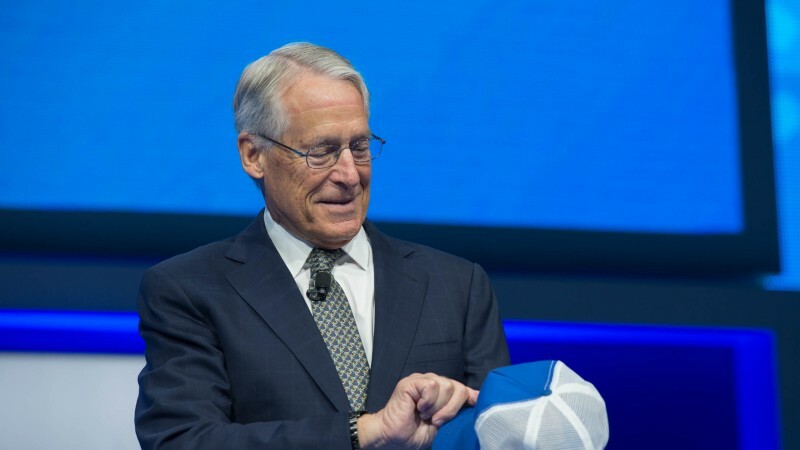 Jim Walton precedes his younger sister Alice Louise Walton and elder brother Rob Walton to occupy the position of the 14th richest man in the world 2018. He is the heir to the world’s largest retailer company, Wal-mart stores. He is also the chairman and CEO of Arvest bank group. Jim Walton is the third son of Sam Walton. He also graduated in business administration in marketing from the University of Arkansas in Fayetteville. Walton started off in Wal-Mart and functioned in the real estate deals. However, he commenced as the president of Wal-Mart after four years, in the year 1975. John Walton was fond of playing football, and he also showed a keen interest in flying a plane. He holds a net worth of $46.4. The Google co-founders enter our list in the next two positions. Google is undoubtedly one of the most visited sites ever. The next in our list is the co-founder of Google, Sergey Mikhaylovich Brin. With a keen interest in computers and science from a very young age, Brin is a computer scientist and an internet businessperson. His company, Google provides tons of internet-related services and is considered to be a top multinational company in the whole planet. At the age of 6 years, Brin had migrated to the united states along with his family. He excelled in mathematics and computer science, as he graduated. Then, Brin joined Stanford University to obtain a PhD. in Computer Science. However, he gave up his PhD. Studies and rented a garage along with his friend Larry Page, to start up Google! At the age of 45, Brin has a net worth of $47.5 Billion, as he shines as the richest man in the world ever, in the 13th position! 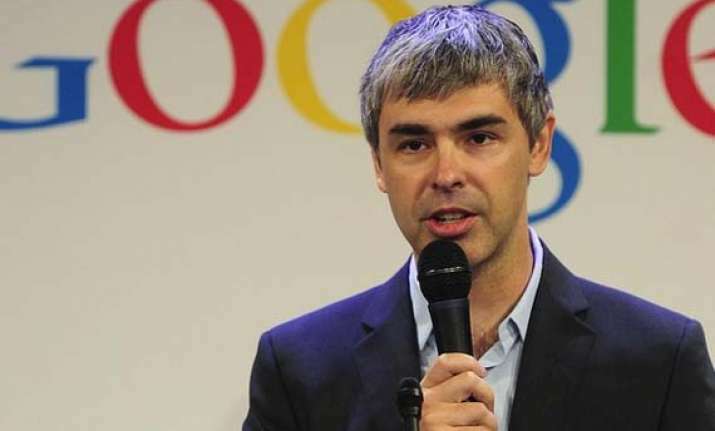 The next in our list is another co-founder of Google, Lawrence Edward Page, commonly known as Larry Page. He and Sergey Brin had started the multi-national Technology company, Google in 1998. However, Page stepped aside as the CEO in the year 2001 and passed on the torch to Eric Schmidt. He then started off as the chief executive officer in Alphabet. Larry Page was born in Michigan on March 26, 1973. He has an extreme interest in technology and business from a very young age. He completed his bachelors in computer engineering from the University of Michigan. He met Sergey Brin during his PhD studies at Stanford, where both of them left their studies, rented a garage and introduced google. Larry Page has a net worth of a massive $48.8 Billion and is the 12th richest person in the world today. Born on February 14, 1942, in the Brighton community of Boston, Bloomberg has achieved the rank of an Eagle Scout. He graduated as an electrical engineer, followed by a degree in masters of business administration from the Harvard business school. Michael Bloomberg started off his career as a partner at Salamon brothers. With the money he obtained as a partner at this company, he, later on, went to institute his own company called innovative Market systems. The company was later renamed as Bloomberg L.P in the year 1987. Bloomberg is renowned as one of the most influential political leader. He successfully held the position of the mayor of new york city for three consecutive times. However, he held back from politics and continued his reign as the CEO of Bloomberg L.P.
Michael Bloomberg has the net worth of an enormous $50 billion, and he holds the position as the 11th world richest person 2018. Lawrence Joseph Ellison is the co-founder of Oracle Corporation and serves as the chair technology officer and executive chairman at this company. Ellison was born in New York, on August 17, in the year 1944 and grew up in Chicago. He has studied his bachelors in the University of Illinois, followed by the University of Chicago, but he held back his graduation and moved to California. The research on relational database design by Edgar F Codd greatly inspired him. Thus he introduced and built Oracle in 1977. Larry Ellison also falls among the top five wealthiest people in the united states. With a net worth of an enormous $58.5 billion, he ranks the tenth position in the top 10 richest people of the world 2018! David Koch ranks as the 9th richest person in the world in 2018. He is the executive vice president of the second- largest private company in the united states, Koch industries. Koch was born on May 3, 1940, in Kansas. He acquired the bachelors and masters degree in chemical engineering from the Massachusetts Institute of technology. He is considered to be an influential personality in the entire planet. 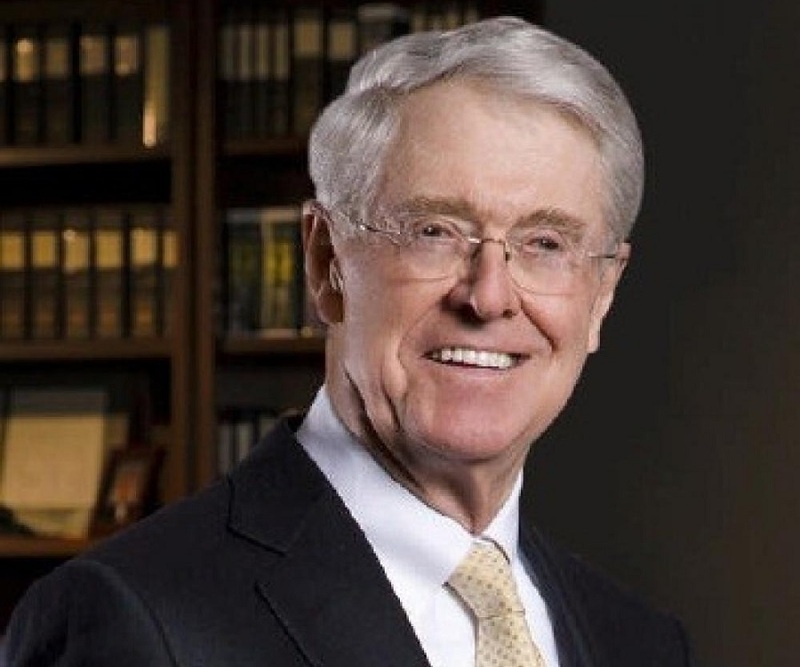 Koch has a net worth of $60 billion, and he also ranked as the wealthiest New York City resident in the year 2013. Charles Koch was born in Kansas on November 1, in the year 1935. He is the big brother of David Koch, and they both tie the list of billionaires, with a net worth of $60 billion. Koch is known to be an influencing political donor. He has a degree of Masters in nuclear engineering from the Massachusetts Institute of technology. Carlos Slim Helu was born in Mexico on January 28, in the year 1940. He has a reigning net worth of $67.1 billion and has been the wealthiest in the world in between the years 2010 to 2013. The richest man in Mexico is an honorary chairman of the American Movil. Armancio Ortega is a Spanish multi-billionaire with a massive net worth of $70 billion. He and his wife founded Zara in 1975. Also known as Inditex fashion group’s former chairman, Ortega was born on 28th March 1936, in a Spanish city called Leon and lived there until 14. Well-known for his simple lifestyle, Ortega has led his company to shun limelight with his hard work and patience. At the age of 82 years, this iconic personality grabs the sixth position among the top 10 richest people in the world 2018. We are all familiar with the widespread popularity of Facebook. Who doesn’t have a Facebook account in today’s world, right? Well, the man behind this massive social networking site lands fifth in our list of billionaires. Mark Zuckerberg grew up in New York. He was born on May 14, 1984. Well-known for his creative and multi-talents, the CEO of Facebook is an entrepreneur, a philanthropist and a technology enthusiast. His project “Facebook” has an enormous 2.2 billion active users per month as per the record in January 2018! With a net worth of $71Billion, this 34 years old genius is the 5th richest person in the world. The chairperson and CEO of the world’s biggest luxury-goods company, LVMH lands fourth among the top 20 richest people in the world! 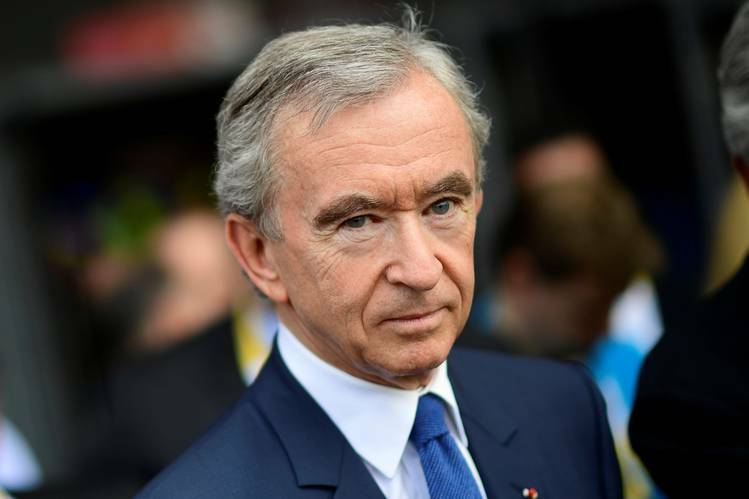 Bernard Arnault was born on 5th March 1949. This French businessman is an engineering graduate and is considered one of the highest investors in the world. Also known as the chairman of Christian Dior S.A., he has a net worth of $ 72Billion. Considered to be among the top of successful investors, the 87 years old Warren Buffet is the third wealthiest person in the whole world. This philanthropist is the CEO and chairperson of the multi-industry company called Berkshire Hathaway. Born on 3rd June 2003, Buffet had a passionate interest in the business world from a very young age. Buffet has a massive net worth of $84Billion and is one of the most persuasive personalities in the world. Bill Gates was born on October 28 of 1955, in Seattle, Washington. The founder of Microsoft Corporation is well known for his philanthropic efforts and competitive personality. He is known to have a peculiar interest in technology since a very young age. He is married to Melinda Ann Gates, who was a former Microsoft employee and they introduced the Bill and Melinda Gates Foundation in the year 2000 with a significant focus to reduce poverty and enhance health care. With an enormous net worth of $92Billion, the 62 years old businessman grabs the second position in the list of the wealthiest! With an immense net worth of $112 Billion, Jeff Bezos is considered to be the richest person in the world in 2018. This multi-billionaire is the first to surpass $100 Billion in Forbes list of billionaires. Bezos is the founder and chairman of the largest online retailer company in the world, Amazon, which he founded on 5th July 1994. Bezos was born on 12th January 1964 to 17 years old Jacklyn Jorgensen and Ted Jorgensen. They were divorced and his stepfather Mike Bezos then adopted him when he was four years old. 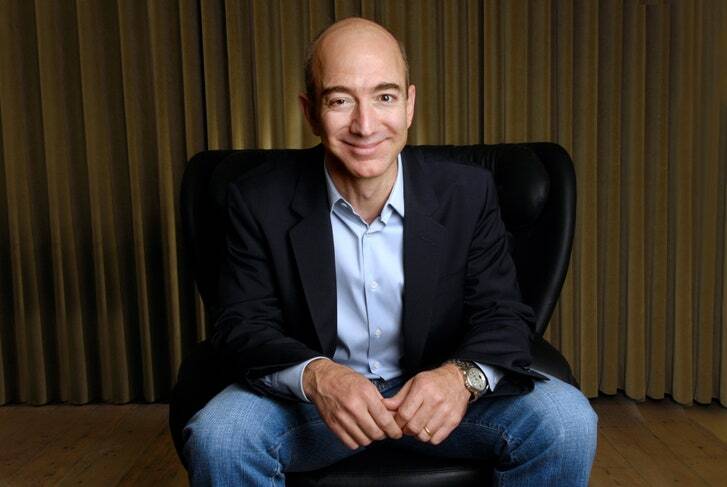 Bezos holds a graduate degree in electrical engineering and Computer Science. He has been bestowed with numerous awards and recognition, and he is considered to be one of the most influential personalities in the entire planet while he surpasses the entire world to rank the first position among the top 20 richest people in the world in 2018! Jerry Seinfeld is well-known for his iconic role in Seinfeld, one of the best comedy TV series of all time. With a net worth of $820 million, Seinfeld is considered to be the richest actor in the world in 2018. He holds an impression of a multi-talented individual with a decent ability in movie direction and writing. He was born on 29th April 1954, in Brooklyn, New York. He is one of the best standup comedians of all time. Binod Chaudhary, the richest person of Nepal, has an enormous net worth of $1,2 billion. The chairman of Chaudhary group(CG) Nepal is considered to be the first Nepali listed in Forbes Magazine in the list of billionaires. Aliko Dangote is viewed as the richest black man in the world, with a total net worth of $14.1 Billion. I. Twelve among the top 20 wealthiest people in the world belong to the technical field, where 7 of them hold an engineering degree! II. The CEO of Amazon excels in the list as the richest man in the world in 2018. III. Mukesh Ambani is considered the richest person in India. IV. 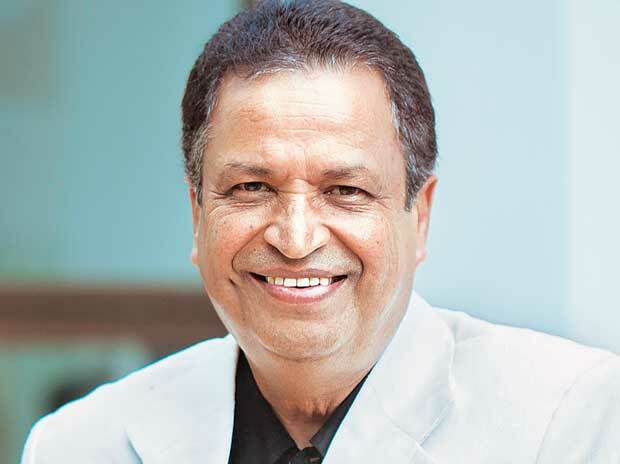 From the list of the top 10 richest people in Nepal, Binod Chaudhary is the first to be featured in the Forbes magazine. V. Qatar, the richest country in the world, does not include the wealthiest of the nation in the list of billionaires! All of these billionaires have excelled in their career and left a trademark of recognition and enhancement in the entire planet. They have reached the milestones with good patience and proper dedication. Their name in this list proves how iconic their lives have been and how motivating their biography will attest to the generations to surpass till eternity!